Aire-Master’s franchise system continues to grow, as we are pleased to announce our two newest service locations: Central Tennessee and Northern New Mexico. Aire-Master now has service in the Nashville, Tennessee, area. Eric Twesme had been friends for many years with Carlos DeLeon (Aire-Master of Dallas). Through Carlos, he learned about Aire-Master and spent time with Phil Canipe (Northern Colorado) and Alejandro Reyes (West Texas). He saw the tremendous opportunity an Aire-Master franchise offered. Eric researched the fastest growing areas for businesses in the United States and settled on Nashville. He and his family moved to Tennessee and launched Aire-Master of Central Tennessee, which includes Davidson and Williamson counties. John Beck first came in contact with Aire-Master as a customer. He owns a restaurant in Fort Collins, Colorado, which is serviced by Phil Canipe, our franchisee in Northern Colorado. John was impressed first by Aire-Master service, then by the business model. Phil’s dad, Terry Canipe, is also a longtime Aire-Master franchisee (Front Range). John, Phil, and Terry decided to start Aire-Master of Northern New Mexico together. The new franchise comprises Colfax, Mora, San Miguel, and Santa Fe counties in New Mexico. The Canipes have done extremely well in their respective franchises, and we expect their new partnership with John to be successful as well. We are pleased to note that Aire-Master has been included in Entrepreneur Magazine’s 2016 Franchise 500 list, ranked #301. This is the 20th year in a row we have made the list. Aire-Master was also included in Franchise Business Review’s 2016 Top Franchises list. As in previous years, the FBR list is based solely on franchisee satisfaction. Aire-Master continues to score well above the benchmark on the Franchise Satisfaction Index. A lot of shoppers start early, so be ready. Make sure you have inventory in stock or on order. If you’re going to do any advertising, set your budget and reserve ad space now. Get your deals, discounts, and promotions in place, and start them posting on social media. Determine your staffing needs and plan your employees’ holiday schedules. You should always have your employees trained to deliver great service, of course. But they will need to go the extra mile during the holiday shopping season. It is crucial that the sales staff stay positive, friendly, and helpful. Even when the store is extra busy, staff members will need to spend extra time with customers to help them find what they need — and do it with a good attitude. Introduce a bonus program for your employees in advance, so they know their hard work will be appreciated and rewarded. Contact your local Chamber of Commerce to see if your town is doing a “shop local” campaign. If so, find a way to participate and promote both the local business community and your own business. Also, look for opportunities to promote local charities — either by joining a campaign or creating one to support a cause of your choice. You could, for example, donate a portion of all sales or sales of a particular item. Or perhaps you could match donations customers make while in the store. Be creative, encourage participation, and do some good in your community. Strong emotions can be triggered by smell. Of all the senses, smell has the most direct path to the emotional center of the brain. Adding a scent marketing program can facilitate a serene state, prompting you to relax, buy more, and create memorable brands. From the time a customer enters your facility until they depart, you have an opportunity to create a fresh-scent brand experience. Customers may remember you more by what they smell than what they see. And research shows that a pleasant aroma, even a very light one can create a unique brand experience that forges powerful emotional connections between you and your customers. As best you can, monitor your sales results. In other words, how many customers and sales dollars came from each advertising campaign, promotion, or offer? It’s okay to ask customers what brought them into the store. You can use the knowledge you gain to adjust your efforts from week to week and plan for next year. 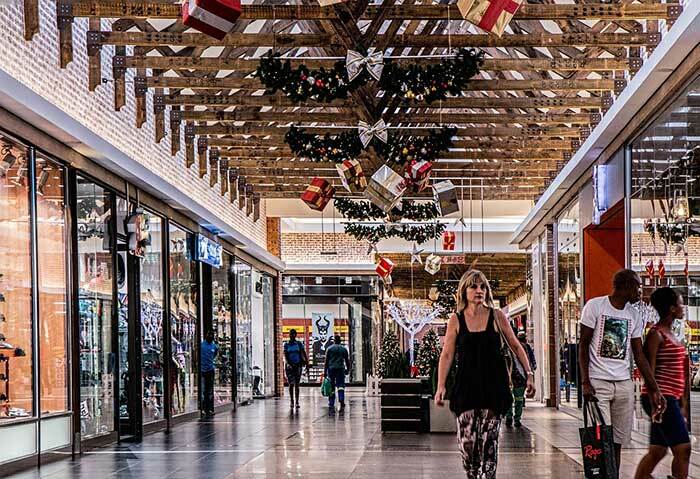 If yours is not a retail business, the holidays provide you with a great opportunity to partner with retail stores and help them achieve their success — all while building brand awareness for your own business. Retailers are busy through the holidays, so make a connection and build a relationship that benefits you both. As an example: if your business is food service, you can generate sales by reaching out to retailers now to arrange meal deliveries for their staff on busy days and hectic weeks. If you are a staffing company, you can aide in providing retailers with temporary workers. If your non-retail business provides any useful service, make sure to schedule those services now. Retailers will appreciate the freedom to focus on their own holiday rush without being sidetracked. 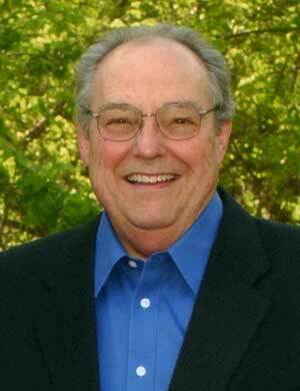 Jerry McCauley of Depoe Bay, Oregon, died of natural causes on December 26, 2012, at age 79. He was born, December 11, 1933, in Kirksville, Missouri. Jerry graduated from Mexico High School in 1951. He married his high school sweetheart, Mary Ann Isgrig on January 12, 1955, in Columbia, MO. They proudly raised four children: Dan, Patricia, Carol and Douglas. Jerry graduated from the University of Missouri in 1955, with a degree in entomology. He served in the US Army as a trainer for Nike Ajax surface-to-air missile systems at Fort Bliss, Texas, reaching the rank of 1st Lieutenant. When his service was up, Jerry went to work for his father’s janitorial supply business, Atkins-McCauley Chemical Company, in Columbia, Missouri. In 1958, Jerry began offering a new commercial odor control service, that he eventually called Aire-Master. In 1963, Jerry established Aire-Master as a separate company and relocated to Springfield, Missouri. He grew Aire-Master into a nationwide franchise system and manufacturing business. Jerry retired as President of Aire-Master of America in 1997, naming his son, Douglas McCauley, as his successor. Jerry became Chairman of the Board and remained so until his death. He and Mary Ann spent their retirement traveling between their homes in Oregon and Missouri. They eventually moved to the Oregon coast permanently. Mary Ann McCauley died from a stroke in 2008. Jerry was respected and loved by his family, friends, business associates, and employees. He had a joyful spirit and an outgoing concern for others. Jerry loved to make people laugh, he gave many people an opportunity to be successful, and his Christian faith guided him in everything he did. Jerry served as an ordained elder in the Worldwide Church of God (now Grace Communion International) for over 30 years. Jerry was preceded in death by: his parents Jacob and Jeanette McCauley; wife Mary Ann McCauley; son Dan McCauley; and daughter Carol Bosserman. Jerry is survived by: daughter Patti Kilgore of Depoe Bay, son Douglas McCauley of Depoe Bay, and granddaughter, Larisa Bosserman of Fargo, ND. In lieu of sending flowers, the McCauley family has established a memorial charity account for those wishing to contribute in honor of Jerry McCauley’s passing. Mr. McCauley supported several charities, but two that were especially close to his heart are The Raining Season and the Oregon Coast Aquarium. The Raining Season is a nonprofit organization that rescues orphaned and abandoned children in Sierra Leone, West Africa. They operate a 24 hour care facility, The Covering, which provides medical, clothing, food, and education needs, as well as spiritual guidance. The facility currently houses about 123 children, and they employ approximately 73 Sierra Leonians, who might not otherwise be able to secure a job. These positions include caregivers, laundry personnel, cooks, teachers, office staff, pastors, maintenance, security and many others. The Raining Season operates on funding from general donations and sponsorship of children. 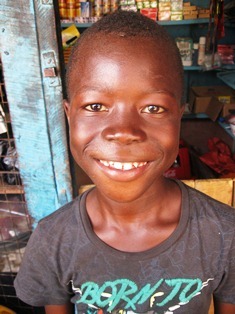 Jerry McCauley sponsored a nine-year-old boy named Mohamed. He was born in 2003 in Freetown, Sierra Leone. After Mohamed was born, his father traveled to Guinea to look for work. Unfortunately, he never returned to his family. Mohamed’s mother became engaged to another man who refused to take on the responsibility of Mohamed’s care. Mohamed stayed with an aunt, and they barely survived on petty street trading. They lived in a one room dwelling. The aunt was single and could not keep proper control of Mohamed. He began spending days and nights on the streets without any supervision. After a close friend of Mohamed’s died from a combination of cholera and malaria, Mohamed was brought to The Covering for his own safety and well being. The Oregon Coast Aquarium is a world-class marine educational attraction nestled on beautiful Yaquina Bay in Newport, Oregon. The Aquarium is a living classroom for all learning styles and ages. As one of Oregon’s top tourist attractions, the Aquarium is a vital educational resource for the state, with over 40,000 students visiting the aquarium each year. The Aquarium strives to be a center of excellence for ocean literacy and plays an active role in conservation and animal rehabilitation efforts. The Oregon Coast Aquarium is a private, not-for-profit aquatic and marine science educational facility offering a fun and interesting way to learn about Oregon’s unique coastal ecosystem. 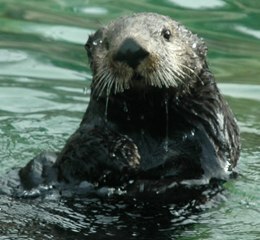 25% will go to the Oregon Coast Aquarium. Whenever I evaluate a school, my first stop is the boys’ bathroom because, without an unflushed urinal of doubt, it is every school’s least common denominator. Its sticky floors, calcified wads of toilet paper and juvenile-yet-timeless graffiti (“Here I sit broken hearted…”) are generally not what a principal shows off. …after my “inspection” discovers the good, the bad and the ugly of the boys’ john, I usually have a good sense (or scent) of how a school is doing. 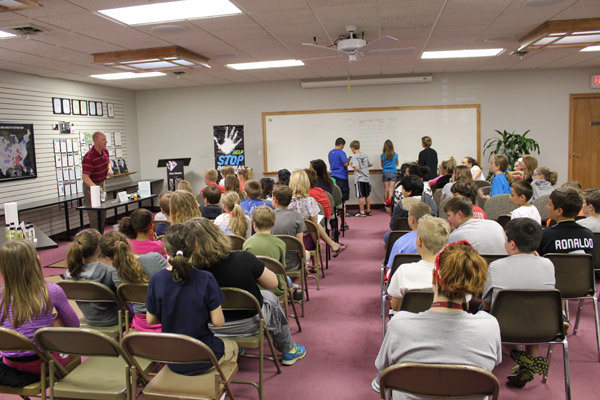 Aire-Master has been participating in the Adopt-A-class school program as part of the Nixa Chamber of Commerce since its inception in 1998. This school year, Aire-Master partnered with Mrs. Rauch’s and Mr. Snowden’s 5th grade classes at Inman Intermediate School in Nixa, Missouri. Each month students were introduced to products and services as part of Aire-Master’s training program, called Stinkie University. This school-to-work partnership helped students learn how Aire-Master helps businesses solve their commercial hygiene needs. Students learned about the sense of smell, deodorants and perfumes, deodorant products vs. air fresheners, hand soaps and sanitizers, odor control and scent branding. Each class participated in hands-on projects such as graphing fragrance evaporation, handwashing to eliminate the spread of germs, colds vs the flu, battery and motor testing, hand soaps vs hand sanitizers, and insect control. On April 25, the 2012 Adopt-A-Class program culminated with a site visit to Aire-Master of America’s corporate offices and manufacturing facility in Nixa. Students were able to manufacture their own hand sanitizer through the use of math and science. They calculated the formulas, selected fragrances, and color and mixed ingredients to produce a finished product for each class. Each student graduated from Stinkie University with a degree in “Odorology” — the science of gettin’ rid of those funky little stinks.